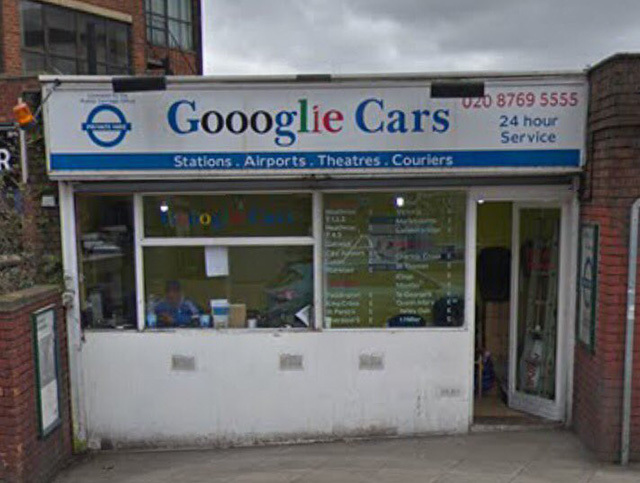 In 2012 we found a picture of a Gooogle (three O's) car taxi service store in England somewhere. 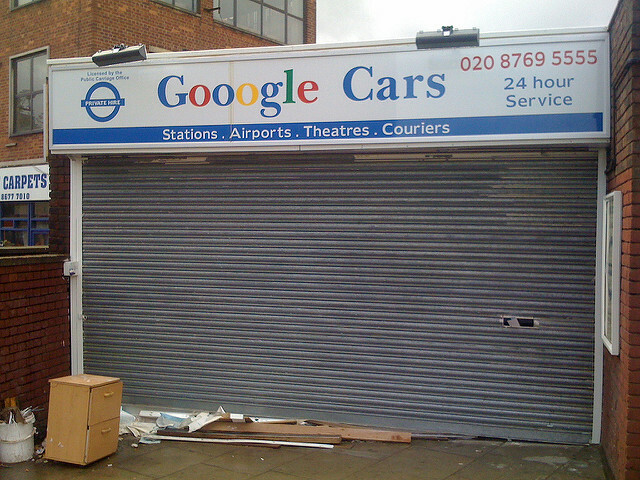 The store still seems to be around but has been rebranded by coloring the Os black and sticking in a small i before the e.
Ronnie Lawson-Jones shared a new photo of it on Twitter. The picture above is from Ronnie, the picture below is from 2012.